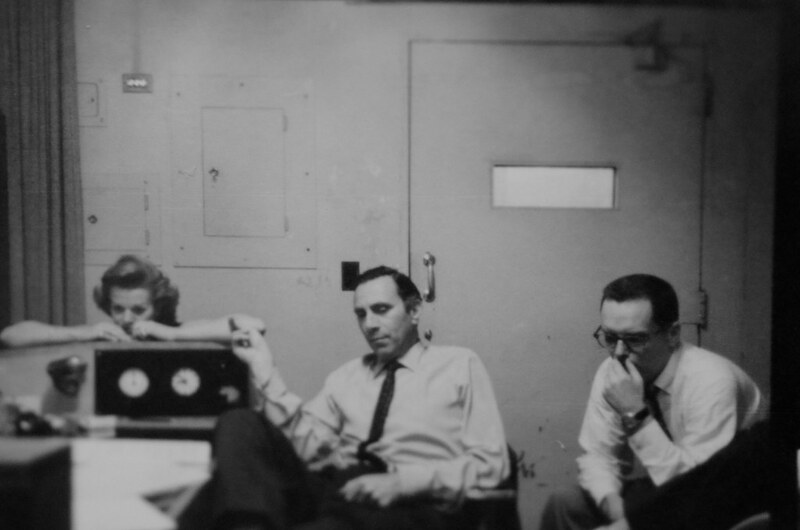 Wow....didn't know they had or used a Western Electric 640AA calibration mike for recording! "...the 640AA Microphone provides a means for ultra-faithful program pick-up especially in auditoriums or in large studios which have proper acoustical characteristics for use of the remote single microphone pick-up technique." Perhaps they used that before Neumanns were available or common. Dan C and MLutthans like this. Just wanted to say thanks for this amazing thread. 30th St closed around the time I was born, so I've come to learn about these amazing recordings later, and even at this remove, the place just seems to have had an aura that fascinates. Really looking forward to future posts here. Thank you! 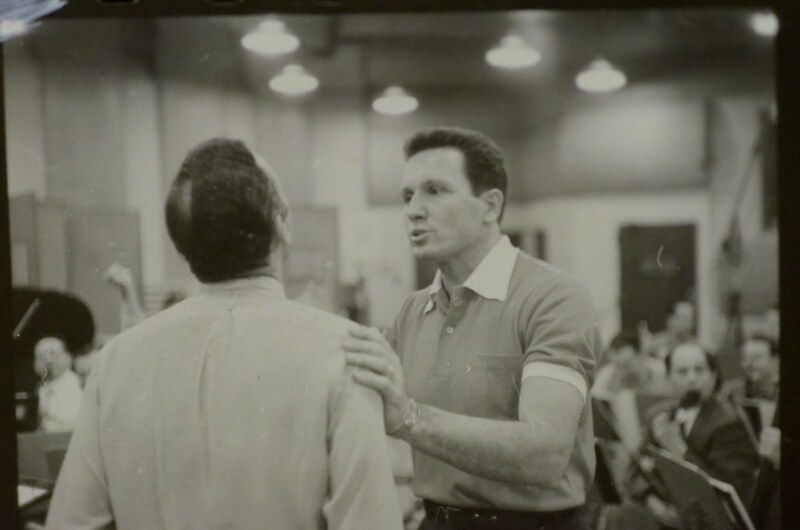 Here are pictures that were taken around the ones that Matt thought might have been "Kiss Me Kate" from 1949. It's possible that this is more than one session and that they are not related to KMK. The way I took the pictures and the way the contact sheets were arranged may not have resulted in contiguous pictures from the same session. Except for Goddard in several, I don't know who any of the people are, so your ID's and comments are appreciated. 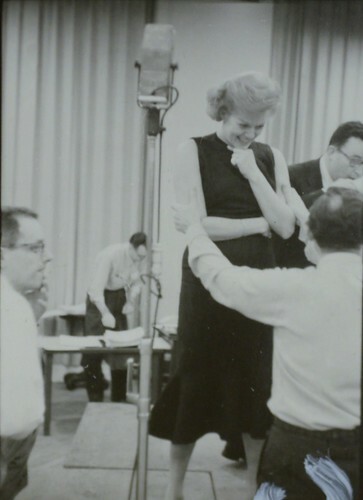 Again, all pictures here and in the next couple posts are from MSS 52, The Frederick and Rose Plaut Papers in the Irving S. Gilmore Music Library of Yale University. chilinvilin, Dan C, Tex_Writer and 2 others like this. Since these pictures are all about her, you'd think I'd know who she is. Do you? chilinvilin, Tex_Writer, MMM and 2 others like this. And that's all the pictures that might be from "Kiss Me Kate". Next we'll get back to CRI and WLIB occupying the same space at the same time, and when did those steeples disappear? chilinvilin, jfeldt, Tex_Writer and 2 others like this. 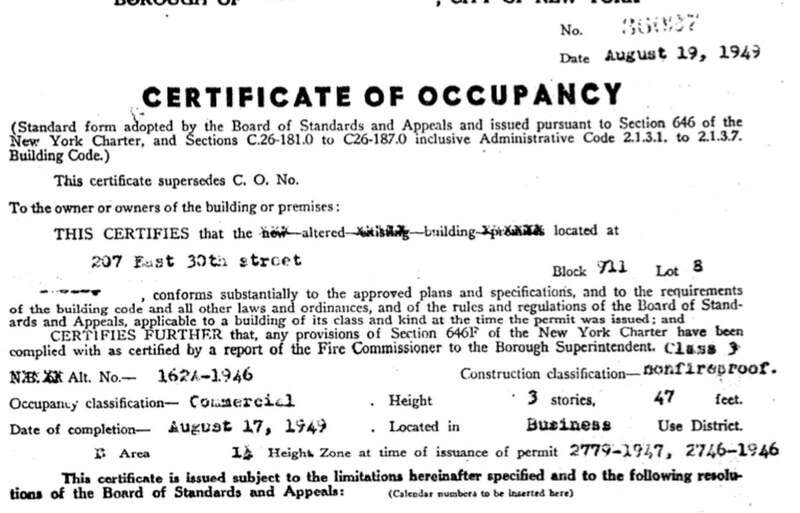 This is the Certificate of Occupancy issued on August 8, 1949, by the New York City Department of Buildings (which is what it's called now, and whose website has this and a few other records from that time). I don't know why there is a miniature image first. First, notice that there is no owner named in it. Since we think CBS/CRI bought the building in 1949, I assume they applied for it but I don't know that for sure. As a layperson, though, I believe that Certificates of Occupancy are issued following construction or remodeling and that whoever did the remodeling would apply for them, so let's see if we can figure out who did the remodeling as we look this over. Second, notice that it says "THIS CERTIFIES that the altered (emphasis added) building....", which means that it is being issued in response to the alterations. Yes? Next, notice that it gives the Alteration Permit Number 1624-1946, which was the 1624th permit issued in 1946 in NYC. If it was issued in 1946, wouldn't it have had to have been issued to WLIB, who had announced in January 1947 that they would move into their new studios in February 1947 (with the actual date being some months later but still in 1947)? Hmmmm. Then it says that the building is 3 stories for an overall height of 47 feet. 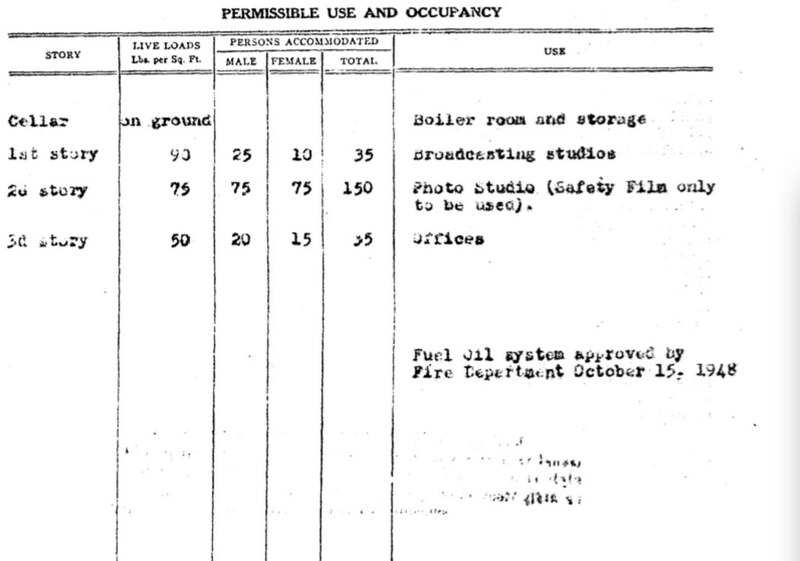 So there is no way that the interior of the studio was 100 feet tall. Realistically, though, the ceiling was way up there and it might as well have been 100 feet, although in reality it had to be less than 47 feet (interior plus roof thickness = 47 feet overall). Whenever it was started, it was completed on August 17, 1949. 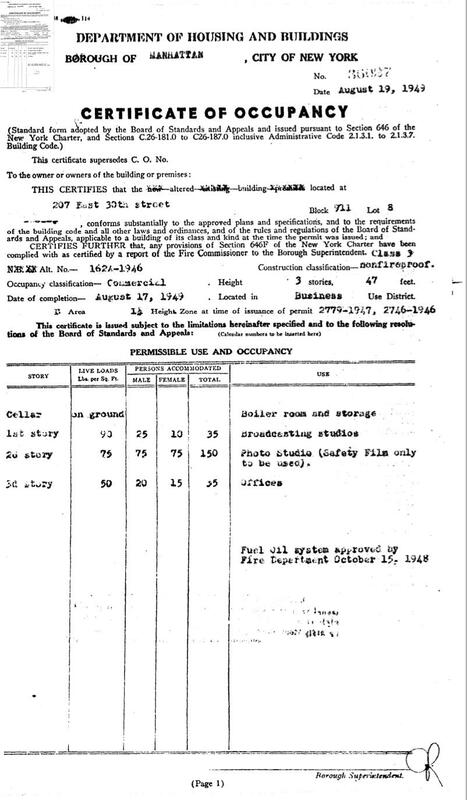 Does this mean that the paperwork was completed for the remodel that started in 1946 and was occupied without this CoO by WLIB from mid-1947? Or was there another remodel that necessitated this new CoO? It does then say "(something unintelligible) Height Zone at issuance of permit 2779-1947, 2746-1946", which seems to indicate there were two sub-permits (maybe) that were also part of the alterations. Someone more adept than me needs to interpret this. This is a breakdown of the building and its uses and occupancy capacities by floor. The cellar is on the ground and contains the furnace/boiler room and storage (and later a reverb chamber). The first story, which I would think is at street level, has broadcasting studios (note the plural) and has an occupant capacity of 35 people. Male and female are differentiated for bathroom purposes, I believe. Isn't this where the huge recording studio will be located later? How does this translate? The second story is a photographic studio (note the singular) to be used with safety film only, and has the largest capacity in the building at 150 people, evenly divided male and female. The third story is offices, with an occupant capacity of 35 people. No matter how many times I look at this, I can't reconcile it with the building we later know has the big room on the ground floor, and a sign with an occupancy limit (as Matt showed us) of 350 people. In this first one, at the top we see the alteration permit number (1624-46) which was referenced first in the C0O, but then there is another alteration permit number that is unfamiliar (617-47). This is confusing. As an aside, the next alteration permit number (107-58P) might give us a clue as to the timing of the transition from old control room to new, but we'll look at that later. Another aside: in 1982 there was a permit for a new building, but the demolition permit for the old one wasn't issued until 1983. And no, I don't know why there is no month and date on many of these permits. 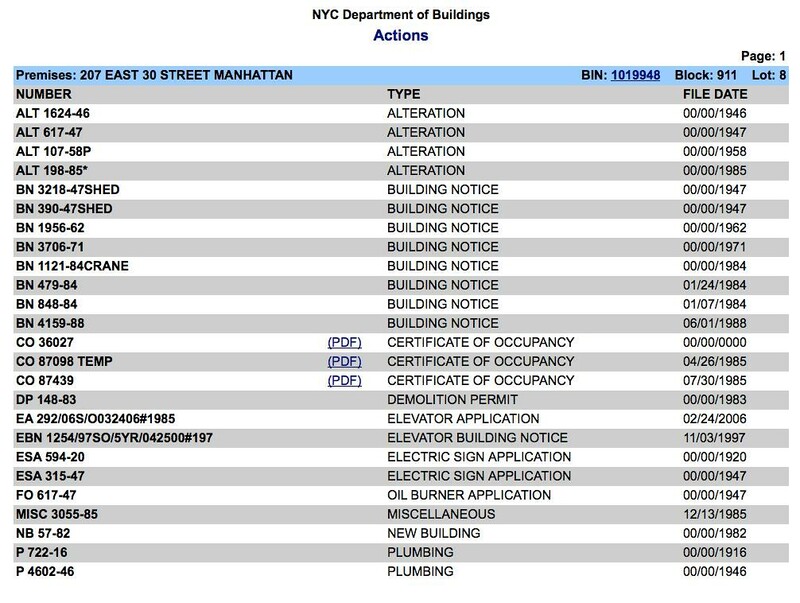 It might also be interesting to see the Special Reports and the Unsafe Building paperwork, but that won't be today. 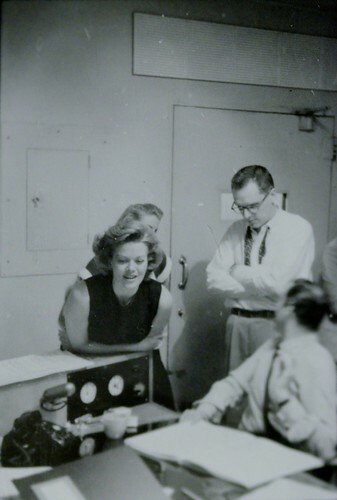 Pictures of CRI session with 1949 car in it, possible Kiss Me Kate 1949 session, simultaneous CRI and WLIB signs on building. No other permits or Special Reports (whatever that is) until 1955. It seems clear that the major building remodel work was completed by sometime in 1947, and that it was probably done by WLIB/New York Post. Unless CBS was involved much earlier than we think. chilinvilin, jfeldt, bluemooze and 2 others like this. 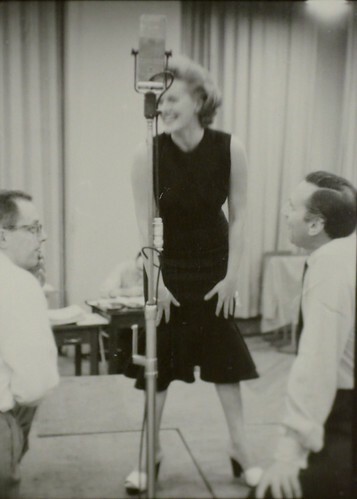 Just a guess, but if it's circa '49 and that's John Raitt, maybe it's a Pajama Game cast recording and the woman is Janis Page? bluemooze and DMortensen like this. 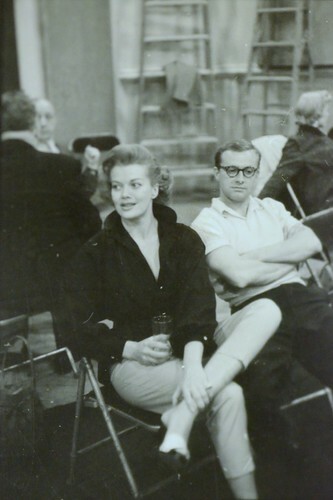 In fact, just found this link to a spread of pictures, many Fred Plaut pics, that appear to be from the same series featuring the same folks (yes John Raitt and Janis Paige) and are labeled 1954, cast recording of The Pajama Game. chilinvilin, MMM, bluemooze and 4 others like this. Note that's the new/relocated/expanded control room. Previously we were thinking maybe 1964. But it definitely dates back to 1962. I have to wonder if 30th St was unavailable due to the control room reconstruction then. 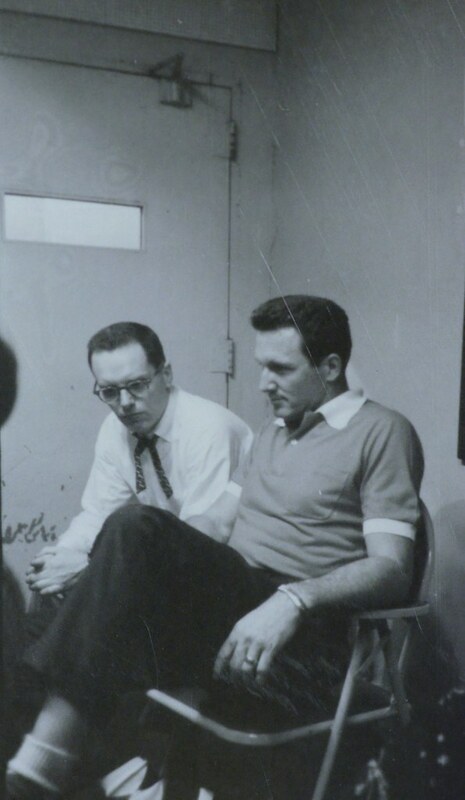 I noticed at least one other session from 1962 that appeared to be at Studio A.
I'll see if I can find anything more from 1962. 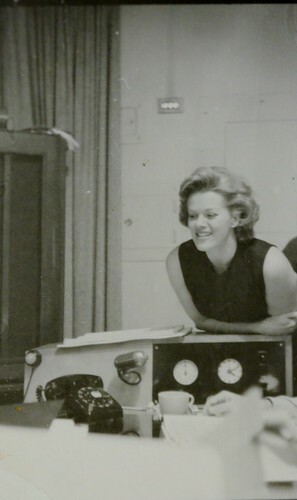 It would appear the new control room was built that year. chilinvilin, Bethany, bluemooze and 2 others like this. 30th Street was also used for some other sessions on other labels. Wonder, for example, if from these collections any photos exist of sessions for Decca artist Brenda Lee's late 1968 single "Johnny One Time" and for the tracks that comprised the subsequent album of the same name (produced by Mike Berniker, arranged and conducted by Marty Manning - names hardly associated with Nashville in whose Quonset Hut - by '68 a sister to 30th Street - she recorded her biggest hits from early in the decade). And that's not counting Paul & Linda McCartney's Ram. However, may I say these photos and documents are a welcome revelation, in any case. 2xUeL, jfeldt and Dan C like this. I certainly agree that the smartphone cameras today are quite good. (Wouldn't it have been great to have some more impromptu videos of those sessions?) The problem is with those who use them and who think that the camera will do all the work for them (it won't). Anytime I see old photographs I marvel at the quality. Looks like a wonderful place to be.I just love the whole 50s -60s era.I just checked our library has the book and I put it on hold. 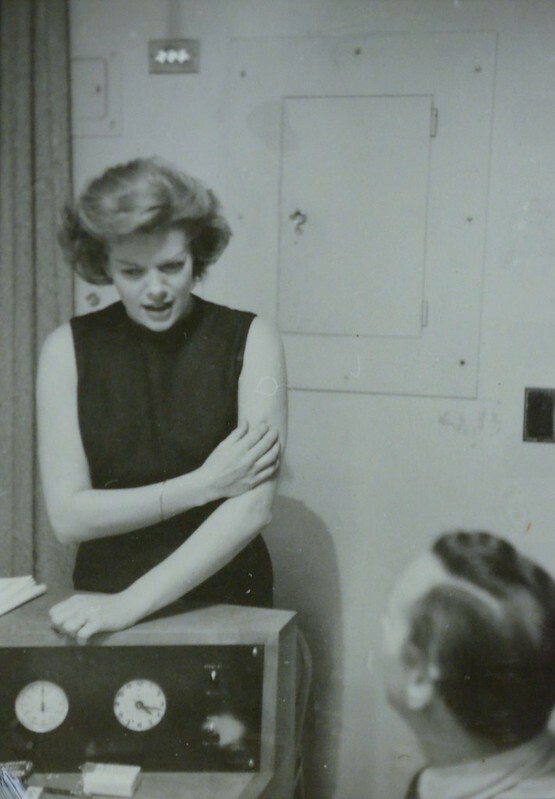 Looks like the previous bunch of photos and the Janis Paige photos are unrelated, no? 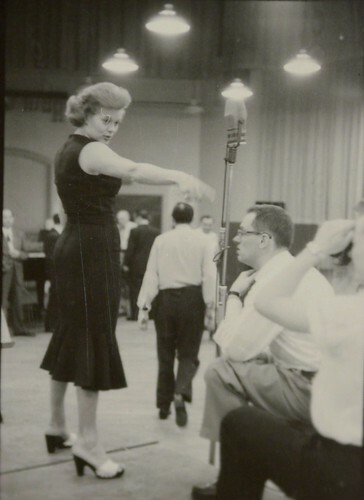 The Paige photos are definitely from THE PAJAMA GAME, 1954 recording. 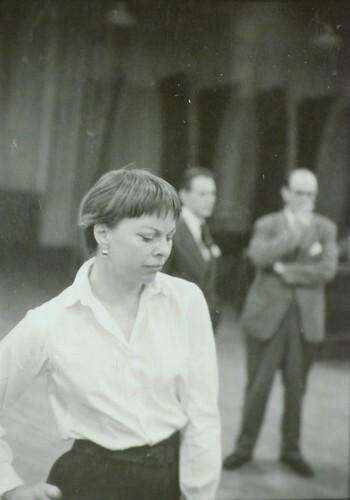 The short-haired woman in those photos is Carol Haney. I think we've accidentally jumped to "Era III." The ones I posted had nothing to do with the 1954 photos. Just was looking on the Masterworks site trying to determine a date for the new control room. Right. My comment was about the 1949 (?) photos not being related to the other photos that Dan posted, which are from 1954.
chilinvilin, Tex_Writer, bluemooze and 2 others like this. 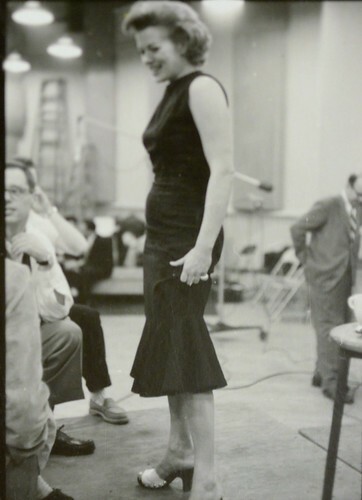 (and note that her dress likely has sleeves; it is Janis Paige's dress (on the left) that is clearly sleeveless). chilinvilin, MMM, bluemooze and 1 other person like this. Is it possible that car seen is an earlier model then? Dan thought it was a 1949 model. Ah, good point. Looks like the 1947/48 models did not have those three distinctive circles on the fender area, but I'll leave that to somebody else to confirm, as I'm not the resident car nut. Thank you DMortensen for a very thoughtful & fascinating thread. Great stuff. I wanted to comment on the outdoor photos. On two occasions you mentioned that hanging out on the sidewalk between sessions was a new thing. I wanted to discuss that as I am not sure that this is the case. "It appears that they are taking a break on the sidewalk and enjoying a nice sunny day, and you have to assume that this activity was normal, although likely relatively new when this picture was taken. Why else would Fred take a picture of it?" 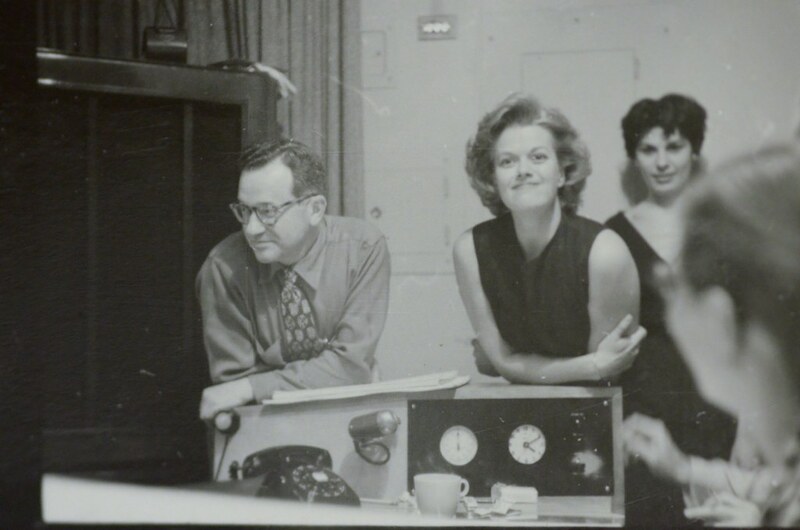 I had the great fortune to briefly work in a recording studio on 39th Street in NY - a ten minute walk from 30th & Third. I would think that it would be fairly typical on a day with decent weather to take breaks out of doors. Certainly many working people do that in NY to this day. When you are working in a recording studio you are essentially trapped indoors, typically without any windows. So, I guess I don't understand why this would be considered a new or novel activity. "Adding to the suspicion that this gathering is a new activity, there is what looks like a young mom and son in the second floor window of 204 looking out at the throng on the sidewalk." I don't think this is evidence of a novel situation. Granted, I wasn't born yet when these photos were shot, but in working/middle class neighborhoods is is very common for residents to hang out of windows and on stoops to people watch. Certainly when I was a child many of the moms would hang out in the windows. 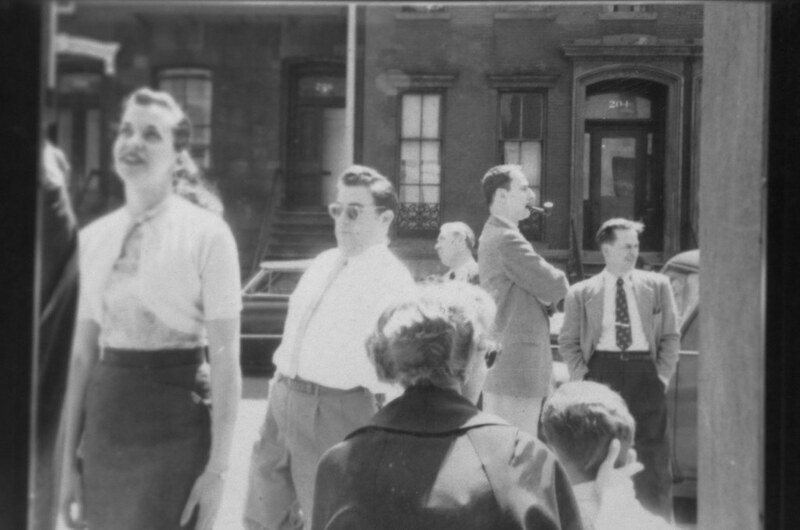 Also, I can't be sure, but I think Murray Hill was not a wealthy neighborhood back when these photos were taken, so I don't think the mom in the window would have typically recognized Broadway actors & actresses. Movie & television stars - yes. Broadway has always been a little pricey to the working class in NY (I speak as a kid who grew up in the Bronx), so the stars of theater weren't on the radar. Forgive me if I have misinterpreted your writing. Just my two cents for whatever it is worth. I'm not Dan, but I thought he meant it was a new activity for the studio, not that gathering outside was a "new thing" in a general sense.